Although you are serious about medicine, do not dismiss the value of using ridiculous associations as an important memory tool. We remember things better when they are very unusual, vivid, very enlarged, humorous, sexual, or just plain ridiculous. The more ridiculous and exaggerated, the better the retention. 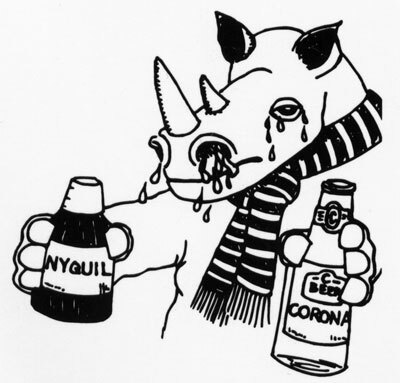 While a rhinocerus, a bottle of Corona beer and a bottle of Nyquil, when considered individually, are hardly unusual, if you saw a sniffling rhinocerus holding a bottle of Corona beer in one hand and a bottle of Nyquil in the other, an overall ridiculous association among the three, you would be unlikely to forget that the rhinovirus and coronaviridae cause the common cold. 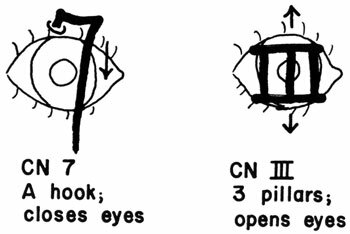 Imagine three pillars (Roman numeral III) inside one eye, keeping the eyelids apart, and the number “7” acting as a hook to pull down the upper lid of the other eye. This helps to remember that cranial nerve III opens the eyelids, while cranial nerve 7 closes the eyelids. Here we combine visualization with ridiculous associations. While you can always use other people’s mnemonics, it may stick best when you invent your own; let your imagination run wild; medical students are very creative. While it may take a little extra time to invent the association, it pays off in retention. 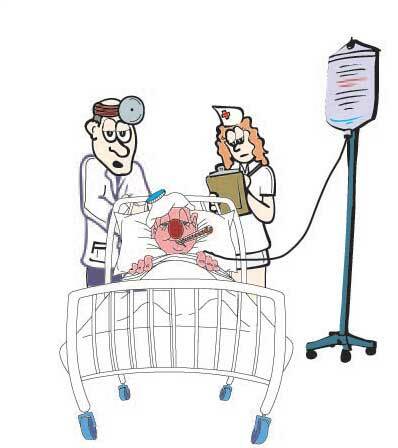 Posted on June 20, 2011, in Rapid Learning and tagged learning, medical school, medical school memory techniques, medical students, memory, mnemonics. Bookmark the permalink. 2 Comments.